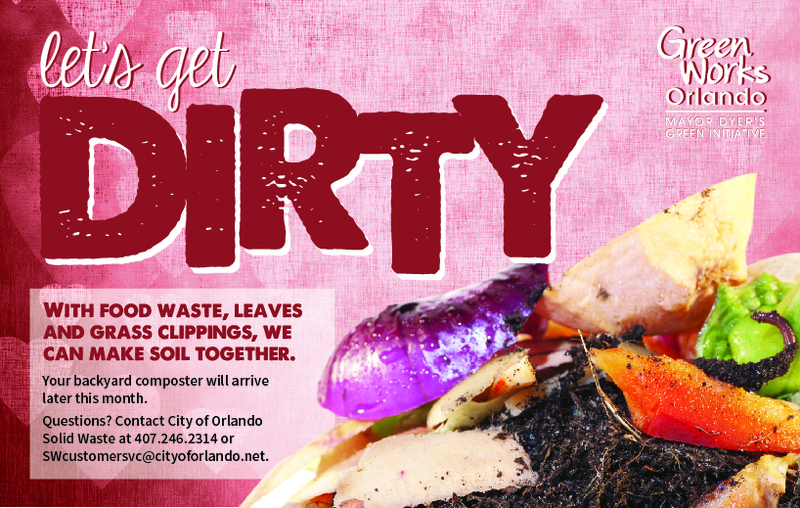 Goals: In order to decrease the amount of waste that is sent to Orlando’s landfill, the City of Orlando’s Solid Waste Division implemented a backyard-composting program in February 2015. The goal of the program was to loan 500 composters to City residents in the by May 1, 2015. 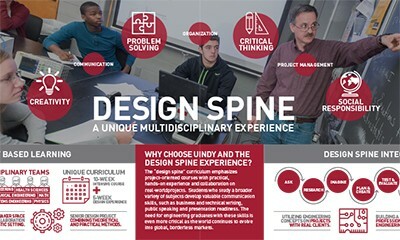 Marketing: To create awareness for the program, the Office of Sustainability and Solid Waste Division approached the Office of Communications and Neighborhood Relations to create a marketing campaign. The Graphics team coordinated with other department divisions, including the Multimedia team, and quickly brainstormed an edgy and creative way to promote the program to residents. The multifaceted “Get Dirty this Valentine’s Day” social media campaign launched on February 5, 2015 with a marketing video hosted on YouTube. 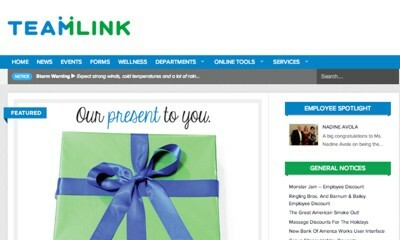 I designed the graphic look that appears in this video in coordination with the social media and video teams. 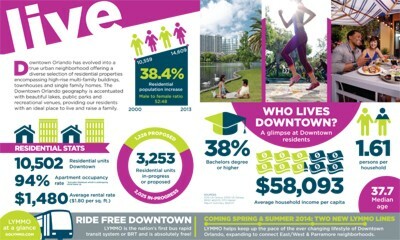 The video was posted on the City of Orlando’s Facebook and Twitter accounts with links back to the City’s website, CityofOrlando.net. 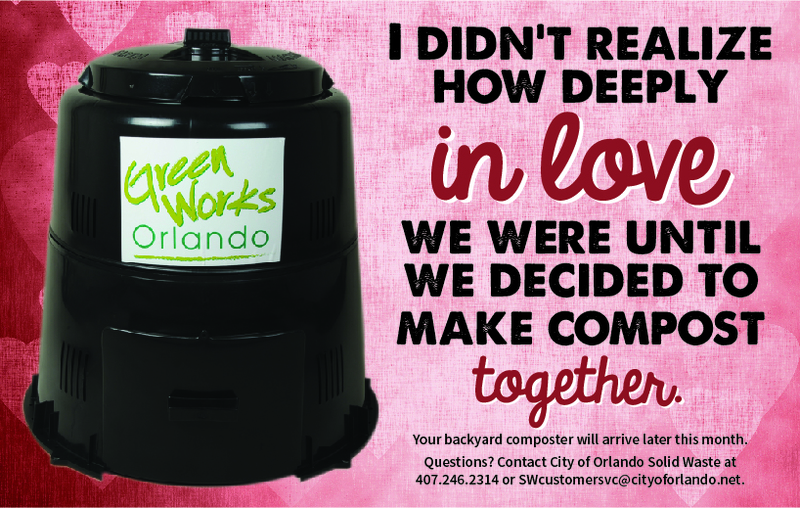 The call to action led viewers back to the website to complete a form requesting a composter and download one of two Valentine’s Day cards that I produced. 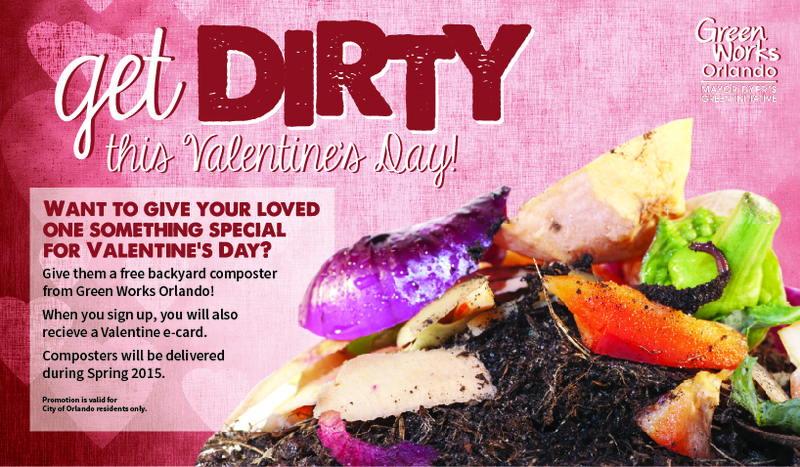 The concept was that those who filled out the form could give the card to their loved on, a fun and creative way to show that they would be “gifted” a composter for Valentine’s Day. In the final portion of the campaign, I designed a composting handbook that was delivered with the residents’ composters. 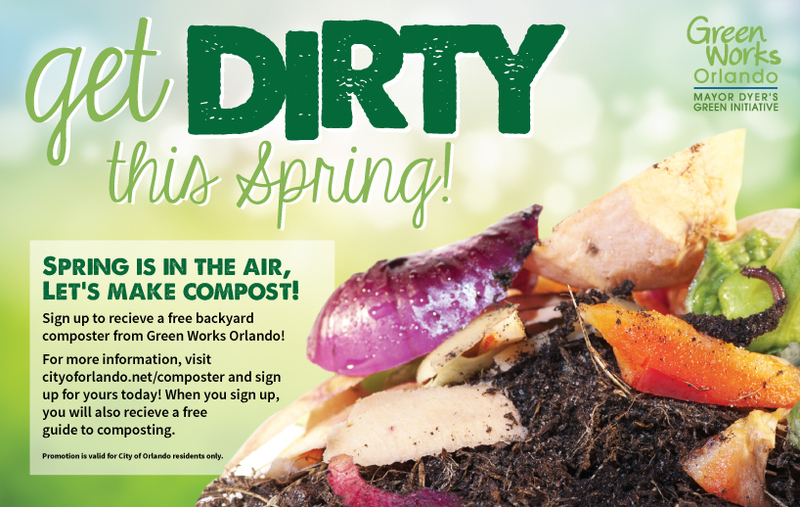 This handbook provides step-by-step instructions for composting while maintaining brand specific design features and functions. 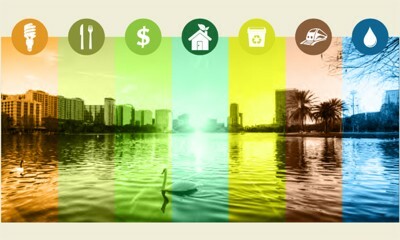 All of the materials in the campaign remain key components of the Green Works Orlando marketing collateral. Media: The campaign was picked up by local media, including one television station who ran the video every hour during the first weekend after the program was launched. The local newspaper, the Orlando Sentinel, also ran a feature story on the front page twice in two weeks. Achievement: The message and video was posted on February 5 on the City’s Facebook account and was viewed 3,432 times and reached 10,664 people with 55 additional shares in the first two weeks. The “Get Dirty” video was viewed 1,185 times on YouTube, and the February 8 post on Twitter reached 1,850 people. 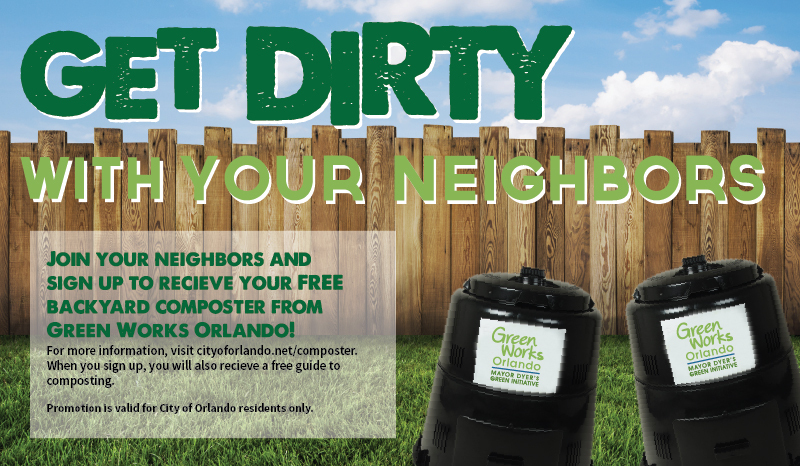 As a result of this campaign, the solid waste division received more than 3,000 composter requests in the first 2 weeks of the launch and had to create a waiting list for delivery.